ROLLING MEADOWS, IL – Rapidly growing marketing solutions technology firm Local Marketing Solutions Group (LMSG) names Carl Bice as Chief Operating Officer. Bice is a highly accomplished executive with extensive client engagement and business unit leadership success. 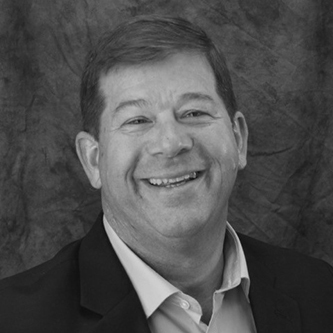 As a member of LMSG’s executive team, Carl will focus on business operations and client engagement. Bice previously worked with SupplyLogic, a leading third-party management company optimizing print and marketing communications supply chains for major national brands, LMD, a Maryland based full-service, integrated communications agency, Williams Lea Tag, a global leader in marketing and communications services, and DST Systems, an American provider of advisory, technology and operations outsourcing to the financial and healthcare industries. Carl holds a Bachelor of Business Administration degree from the University of Notre Dame and earned a Master’s Degree in Physics from the Naval Postgraduate School in Monterey California. ABOUT LOCAL MARKETING SOLUTIONS GROUP, INC.
Local Marketing Solutions Group, Inc. (www.lmsg.co) is No. 1,673 on the 37th annual Inc. 5000, the most prestigious ranking of the nation’s fastest-growing private companies. It was formed in 2012 by the executive management team of JGSullivan Interactive Inc. The purpose of the holding company is to continue the expansion of offering the broadest and most efficient marketing and sales solutions to national and international brands that drive revenue through local sales and marketing channels. The company provides marketing automation technology and supporting sales and marketing services capabilities, allowing corporate sales and marketing to control brand image and to ultimately facilitate use of product and service content and materials from national to local channels. Operating units and brands include JGSullivan Interactive (www.jgsullivan.com), DuFour Advertising (www.dufour.com), WeblyGuys (www.weblyguys.com) and KMA One (www.kmaone.com). 12600 Deerfield Parkway, Suite 100, Alpharetta, GA 30004 | 888-500-2536 © Copyright 2019 KMA One. All Rights Reserved. Local Marketing Solutions Group, Inc.